Description: Ex-library book has chip to front board and heavy wear to board edges. 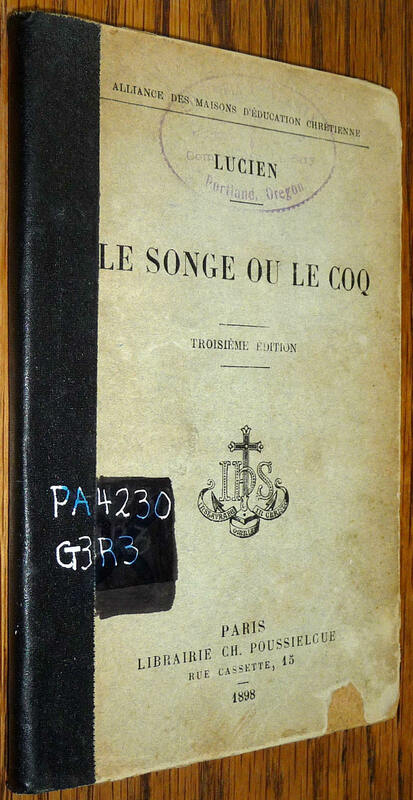 Pages have library stamps, marks, pockets and plates. Book is heavily age toned. One signature is slightly loose in binding. Pencil notations throughout book. 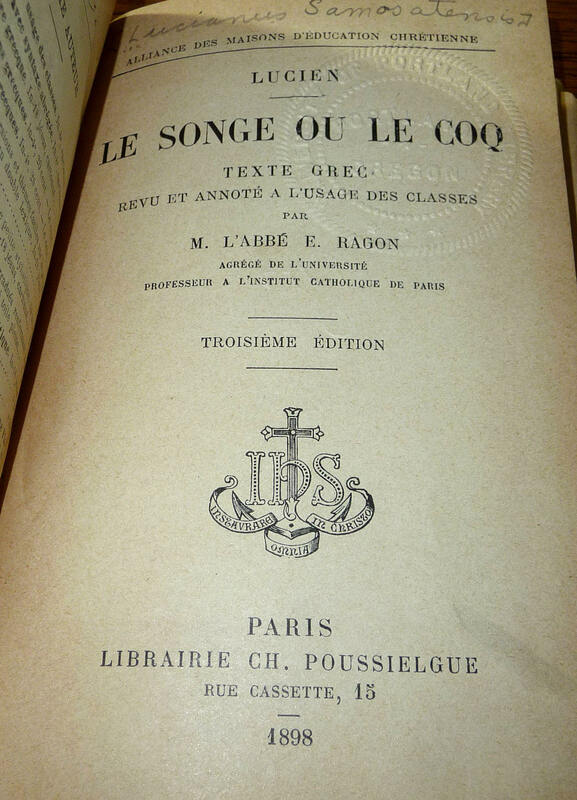 Original Greek text with French notations.